Drive up the Hemel-en-Aarde Pass leaving the busy beaches far below and slowly, slowly this pristine wine valley will envelop you in stillness and wonder. Turn left towards the De Bos dam and around a bend, a low slung building appears on the horizon, perched on a sweeping landscape and anchored under a large tree. This is the Frame House. A wood and canvas structure housing the wine tasting room and picnic service belonging to Bosman Family Vineyards on their farm in the Upper Hemel-en-Aarde Valley, Hermanus. It is here where you can sample our wines and enjoy a picnic amongst fields of indigenous ‘fynbos’, luxuriating in the ‘champagne’ air and absorbing the awe-inspiring views. The Frame House is a refreshment station from which you can explore both nature and your place within it. Soak up the views from the Frame House verandah or for the more adventurous, amble up the mountain path to absorb the stillness broken only by the rustling bushes or soft bird call. 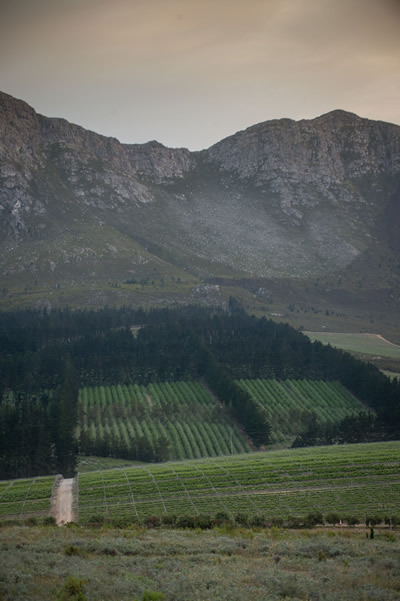 At the top enjoy a 360º view of the Hemel-en-Aarde Valley. From there you can see all the way across Walker Bay to Gansbaai in the South and Hangklip in the West. Great care has been taken to tread lightly on this delicate landscape to allow the natural fauna and flora to thrive, and to craft a sensitive way for us to enjoy it. The circular route, which starts and ends at the Frame House stretches over +/- 2 kilometers. The Wetland Trail is a 3 hour (+/-7 kilometers) walk that winds its way through a number of habitats from farmland to fynbos and renosterveld. 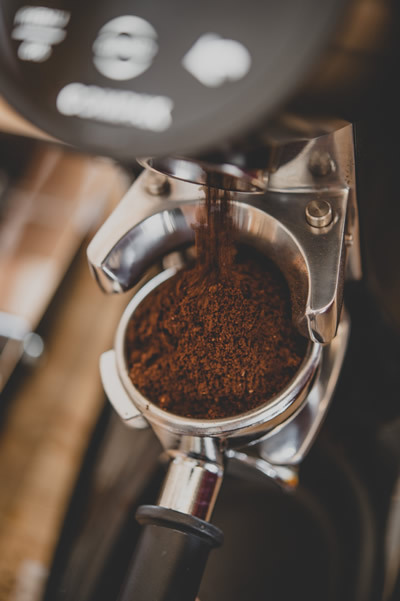 Barista-made coffee and tea are made to order and available from the Frame House. The ideal selection of Bosman Family Vineyard wines is available for tasting and purchase. Experience our Koppie & Wetlands trails laid out by well‐known conservationist Frank Woodvine and his team. 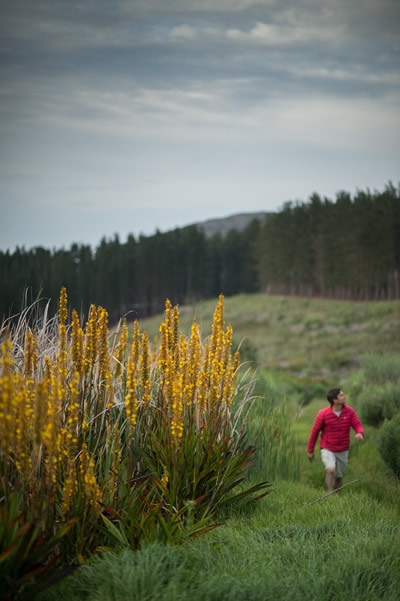 They make their way through a number of habitats from farmland to fynbos & renosterveld. Besides the beautiful natural vegetation, hikers might be lucky enough to spot the odd ribbok, perhaps a duiker or even a porcupine. Frank reports seeing a caracal which is a very rare find as this is a nocturnal animal, but baboons are also a common occurrence. Join our newsletter so that we can share all of the new and wonderful happenings (and sightings) taking place at Bosman Hermanus. We'll also be updating new stories collected across all of our Bosman brands and activities. See you soon. Thank you for signing up. We can't wait to share our news & beautiful surroundings with you.